There isn't a day around here in our crafty headquarters, that we don't hear someone talking about the A&E show Duck Dynasty! It cracks us up (or should we say, "quacks" us up). 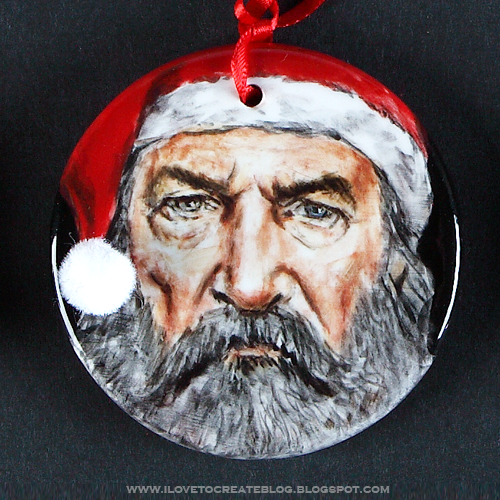 We knew we had to make a set of holiday ornaments of our favorite characters using our Duncan glazes and bisque to celebrate the season. And boy, are they the talk of the design studio! 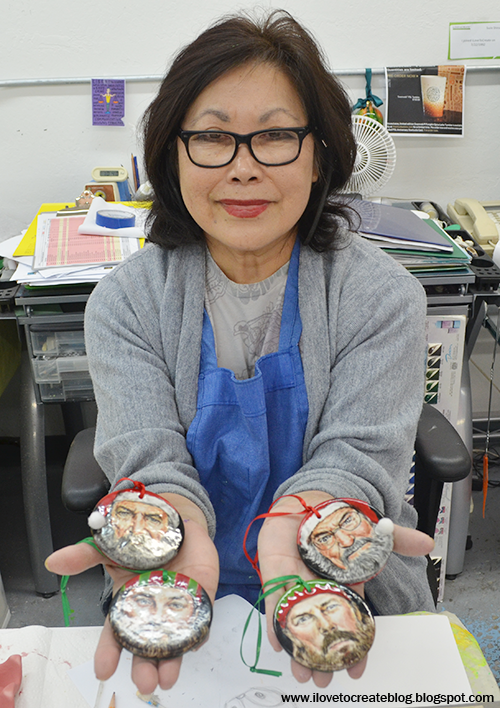 Suzie Shinseki, our ceramic artist totally knocked them out of the park...you may know her from Grumpy Cat shorts fame! See below how she made them, plus some more awesome close ups! 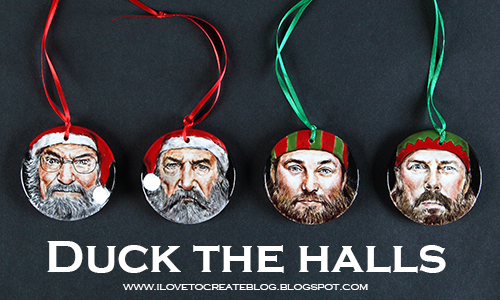 We plan on sending these gems to the Duck Commander headquarters in Louisiana, hopefully so they can duck the Robertson family halls in time for the holidays. 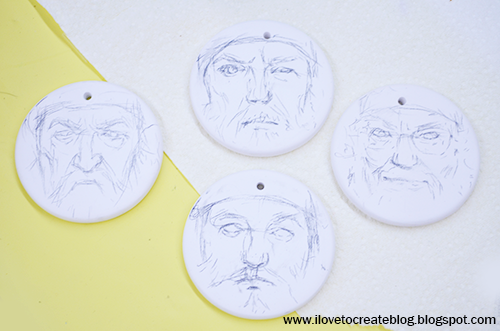 Here's how the ornaments started out. 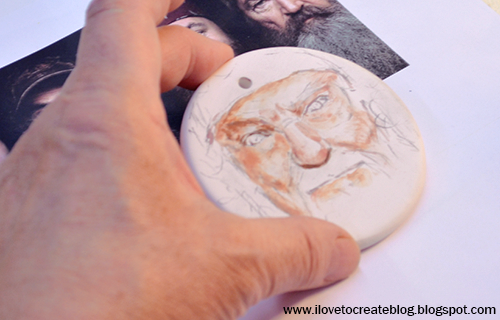 Suzie started by sketching the faces in pencil on our round Duncan Bisque ornament. Suzie painted in the face and did the highlights and shading using Duncan E-Z Stroke glazes. As you can see, Suzie's painting skills are amazing! Their expressions and features are so spot on. This is what the finished painted design looked like before the kiln. As you can tell it is lighter and more muted colors before it goes in the kiln than after it comes out! 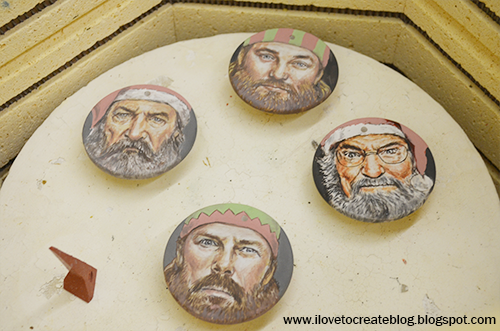 Here's the Santa and elves ready in the kiln to be fired! Suzie put each on a ceramic stilt to hold them in place during firing. Then she closed the kiln and set for it to fire to a Cone 06. 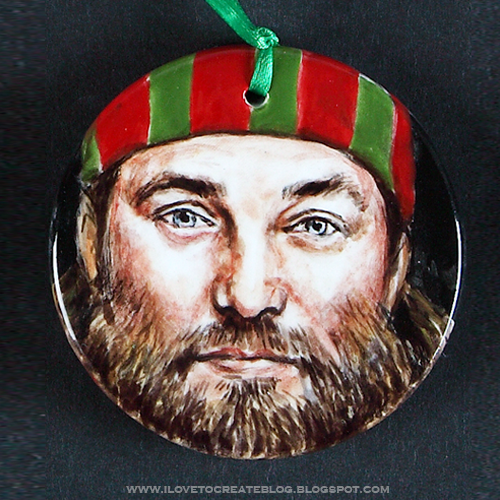 And here's how the finished ornaments turned out! So glossy and shiny! They make us Happay Happay Happay! How about you? 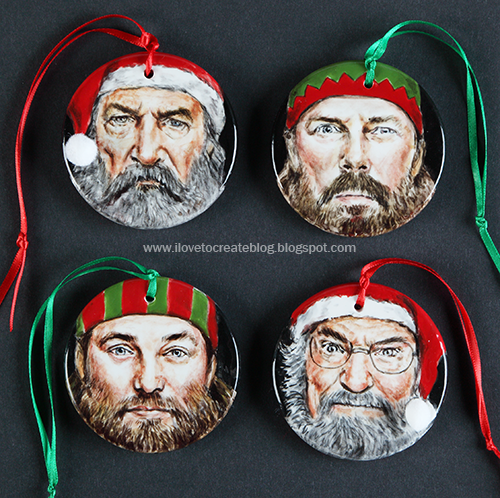 Here's a closeup of all of them...we couldn't resist adding a fun quote from Uncle Si! Suzie even got Uncle Si's crazy eye expression! Love it! And here's Suzie Shinseki, our very talented ceramic artist with her finished creations! She blows us all away with her talent and artistry. 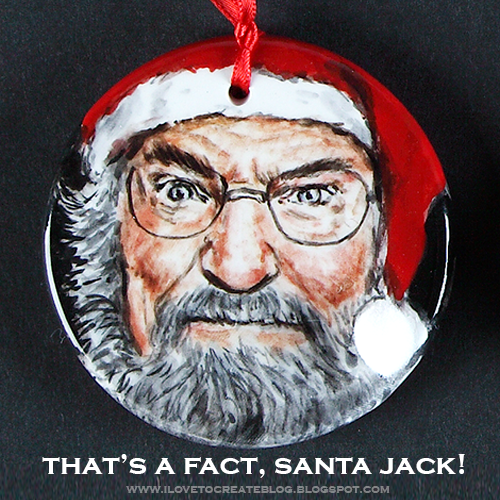 We are going to get these in the mail next week to send to the Robertson's to enjoy for the holidays! Not sure if we will get a response, but we think they'll be just as smitten with them as we are!!! Awesome as always Suzie!!! YOU ARE AMAZING! 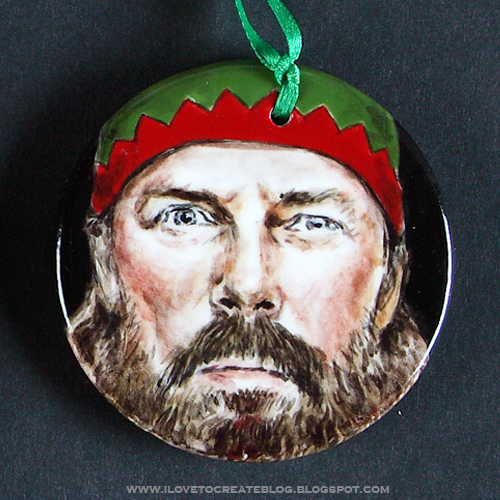 And I hope the Robertsons love them!!! They are great!! !